Syracuse, N.Y. - The Teddy Bear Artist Invitational is one of the premier events showcasing soft sculpture artists in the United States. This year the showcase returns to Syracuse on August 16th with the theme “A Hallmark Moment.” The event will also serve as a fundraiser in support of the endangered species programs at the Rosemond Gifford Zoo. The Teddy Bear Artist Invitational (TBAI), one of the chief events exhibiting the work of teddy bear artists nationally and internationally, returns to Syracuse. The unique three-day event provides an opportunity to attend both the annual convention as well as the sale itself. The event will showcase some of the highest quality and rarest bears in the world, making it a hot-bed for discerning teddy bear collectors. Attendees also will have the chance to meet the many artists behind the bears and get their purchases authenticated and signed. Each teddy bear is unique; which makes “A Hallmark Moment” the perfect theme. The Teddy Bear Invitational was founded in 1994 by Teddy Bear artists and avid zoo supporter, Millie Gage. Millie’s vision was to assemble artists and collectors to help support the Andean Spectacled Bear exhibit at the Ross Park Zoo in Binghamton, NY. Over time, the TBAI grew to become an acclaimed international bear artist show. It now functions as a non-profit 501(c)(3) show run by a committee of artists under the direction of Cindy Malchoff. The TBAI will be featuring creations from leading teddy bear artists from the United States, Canada and the United Kingdom. Unique this to this years’ convention is the opportunity for guest to visit the Camillus Erie Canal Museum, socialize, create pop-up cards and learn some of the techniques used in Zentangle drawing. The TBAI will also serve as an opportunity for guests to visit area attractions and socialize, all while learning some of the techniques used to create teddy bears. The “A Hallmark Moment” Gallery and Reception will begin Friday, August 17 at 5 pm. The public sale will take place on Saturday, August 18, from 10 am – 3 pm. Admission is $6.00 per person and free for children under 12. Proceeds from the Meet ‘n Greet reception, fifty percent of the gallery sale, and general admission will all be donated to support endangered species programs at the Rosemond Gifford Zoo, Ross Park Zoo and the Giraffe Conservation Fund. All convention activities (except for the Saturday show and sale) require advance registration and fees. 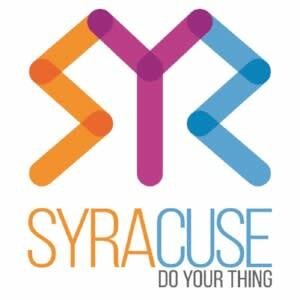 Visit Syracuse, Inc. is Onondaga County&apos;s official marketing organization for tourism related economic development; leading the production of over $850 million in direct visitor spending annually. The organization aims to strengthen the positive awareness of the City of Syracuse and Onondaga County as a convention and visitor destination; to increase revenues and stimulate economic development and growth for the community.